On one hand, Supreme Court of India has refused to ban Padmavati and on the other hand, there are many Chief Ministers who are saying that they won’t let the film release in their state! It seems that the hurdles in the release of Padmavati are just going to increase in the future. The Rajput Karni Sena was already going in full swing with their protests. And now they have been joined by a few Chief Ministers of India who are saying that they won’t let the film release in their states even if it releases nationwide. On the other hand, the Supreme Court of India has refused to ban the film saying, ‘‘The censor board has a role and the Supreme Court cannot assume that role. Why should the court interfere to stop the release of a movie which has not been cleared by the censor board?” This was in response to a PIL which sought ban on the film. 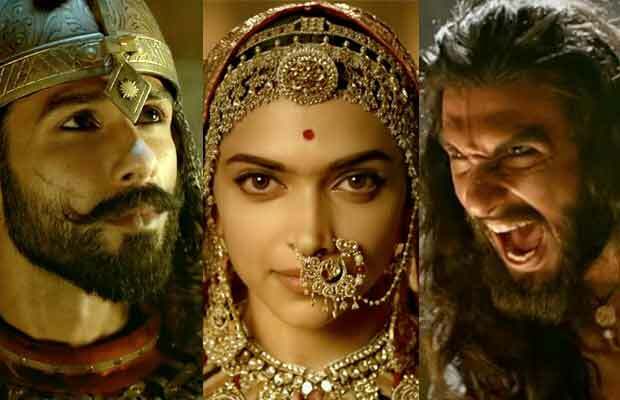 In addition to this, Uttar Pradesh’s Deputy CM Keshav Prasad Maurya and Rajasthan’s CM Vasundhara Raje have said that they will not let the film release in their states unless the controversial parts are removed and the necessary changes are made. In fact, Raje had even written a letter to the Information and Broadcasting minister, Smriti Irani stating the same. Padmavati was earlier slated to release on December 1, this year. But the makers have now postponed it and are yet to announce the new release date. Previous articleKatrina Kaif-Salman Khan’s Swag Se Swagat Song To Release Tomorrow And We Cannot Wait!